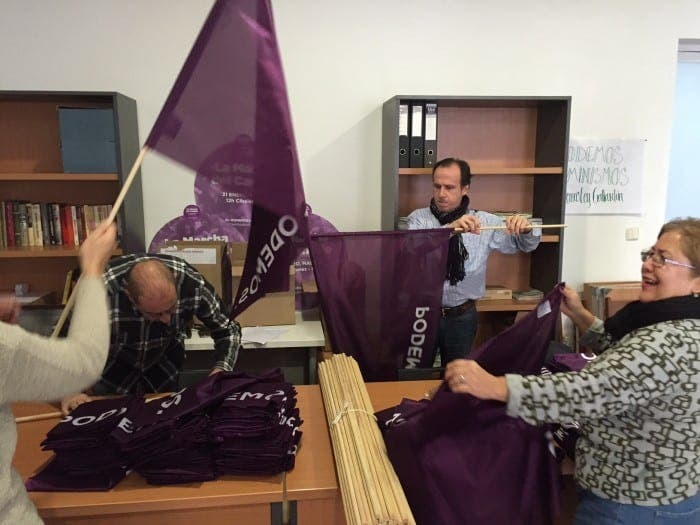 OLIVE PRESS publisher Jon Clarke gives us an exclusive look into anti-corruption party Podemos’ headquarters as they prepare for tomorrow’s rally. Party members and volunteers from across the country are flocking to the capital ahead of the ‘March for Change’ that aims to call for a change in political governance. Flags and banners are currently being made at the party’s headquarters in Madrid to echo the people’s discontent regarding political scandals and corruption. 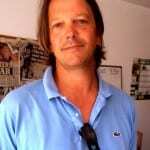 Cautious volunteer Francisco said: “Podemos isn’t going to fix anything, but it is all about the people and trying to make a change. The party is advertising the rally as a march organised ‘by and for the people, built by all’ that will show that ‘there’s a new majority which knows that the time to act is now’.